Today I am reviewing four new e-liquids, sent to me free for the purpose of review from Sharon and Flemming over at LTecigs in Shipley UK. As from 20/05/2016 LTecigs have moved to the above address, and have now started a 'NEW' Mobile Friendly Vape Shop. They also run another online Department Store (web address linked below). AHL is short for "Another Hyped Liquid", their new e-liquid range. You have the choice of 10ml & 30ml bottles from £2 for 10ml and from £5.40 for 30ml. When an e-liquid is first released onto the website you can order trial sizes in 5ml bottles for only £1.20. Today for all e-liquids I will be using my Twisted Messes Box Mod with Twisted Messes RDA using Clapton single coil reading 0.5ohm for Direct Lung Inhale, & my Innokin Coolfire Box mod with Nature Vape tank reading 1.4ohm for Mouth to Lung. Both give excellent vapour and flavour. ► Set Up - Twisted Messes Box Mod with Twisted Messes RDA using Clapton single coil reading 0.5ohm for Direct Lung Inhale, & my Innokin Coolfire Box mod with Nature Vape tank reading 1.4ohm for Mouth to Lung Inhale. ► On opening the bottle, the deliciously sweet aroma of a juicy ripened mango fanned from the bottle, giving off a distinctive resinous, sweet smell, emitting a sweet fragrance. The scent of summer, cool sea breezes and a warm tropical paradise are amidst the aromas in this delicately fragranced fruit vape. ► On the Inhale, imagine yourself on a beach filled with light, warmth and silence. All you can hear are the waves rippling onto the shore and the waving back and forth of the palm trees in the light sea breeze. The hot sun is beating down on your naked skin. There is a place inside of you where stillness and everlasting abiding peace reside. You drop deeply into a state of contentment and find inner peace with yourself. Beside you is a cooling glass of ice cold mango just waiting to be consumed. Cool, sweet and refreshing, you take a sip from the glass. Droplets from the glass drip slowly onto your skin. You caress the droplets on your body while letting the chilling mango slide over your awaiting lips. Your world is filled with feelings of happiness, peace and contentment. Sit in the stillness and take this cooling mango flavour in your mouth. It will put you into a state of inner peace. 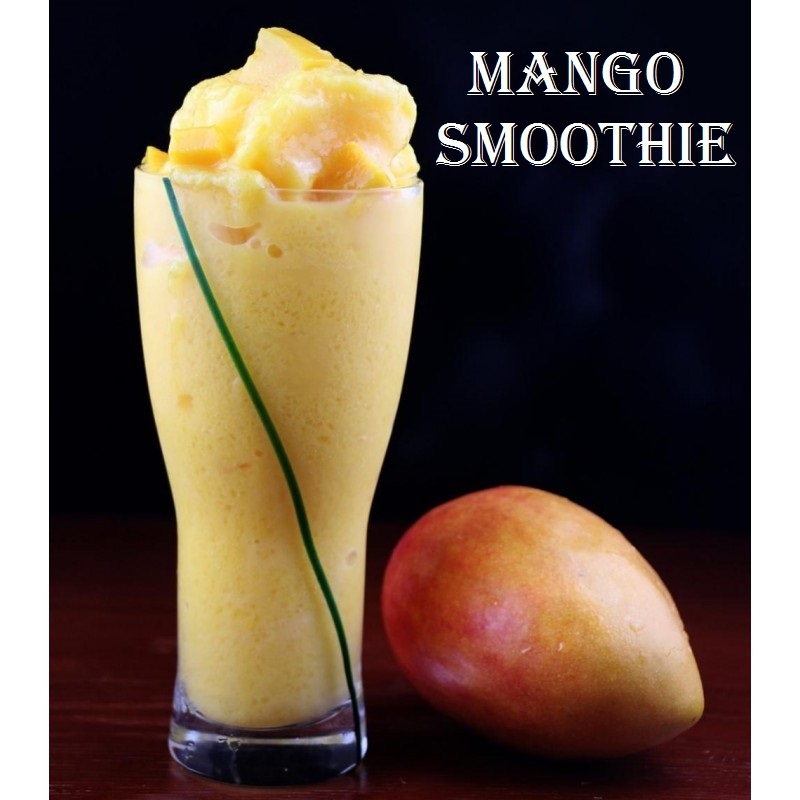 Chillingly cool with the tropical taste of mangoes. ► On the exhale, as you awaken from your chamber of stillness, your mouth is filled with the most refreshingly chilled fruitiness. Sweet and invigorating, with an impeccable fusion of Mango, sweet creams and chilling ice. ►Summary:- A simple flavour, but so refreshingly sweet and fulfilling. A fantastic vape for a hot summers day. ► Would I buy this e-liquid .......... Yes, definitely. It's a very refreshing vape. ► Throat hit ......... Direct Lung Inhale - Chilling. Might be too cool for some vapers who prefer direct lung inhaling. Anything from 0-6mg with higher VG ie 70vg, 80vg, 90vg, is more suitable for direct lung inhaling. ► Throat hit ......... Direct Lung Inhale - I find at 12mg 50VG/50PG blend, this is quite strong for direct lung inhale. I prefer 3mg/6mg with high VG content for this, and 24mg 50VG/50PG blend for my tobacco vapes. ► Throat hit ......... Mouth To Lung Inhale - Smooth with a solid throat hit. Very good. ► ADV ......... It's not an all day vape for me, but might be for some. One I would certainly keep in my daily vape rotation. ► Final Thoughts ......... Another excellent juice from LTecigs. The balance of flavours are perfect. It's sweet but not overly sweet. The chill factor added to the e-liquid is a nice touch. It's creamy, fruity and extremely pleasing to the palate. I really enjoyed this one. ► Aftertaste ......... A subtle mango taste that lingers for moments afterwards. ► On opening the bottle, the aroma of sweet juicy peaches fanned from the bottle. Sweet, sensual and refreshingly pleasing. Looking back, I remember visiting the local fruit market on Sunday afternoons. We didn't have to travel far, as It was held in our neighbouring village. The locals displayed their wares, selling anything from their homegrown fruit and vegetables, to jams, preserves and home baking. It was always more appealing to buy your produce from the local markets, knowing they were fresh, in season, and organically grown. Perfectly ripe peaches were in abundance, lining the stalls with their fragrant, fleshy fruit. One of the most welcoming signs of summer is the much anticipated harvest of succulently, sweet, seasonal fruits. ► On the Inhale, a sheer silkiness slowly flowed over my palate encapsulating the whole of my mouth. Taste bud enthralling, Sweet delectable peaches, plump and flavourful with a heavenly taste and a subtle tang. This smooth, silky pleasure will take you to a new level of intimacy, seducing your senses with a honey sweet smoothness and a piquant tanginess. Stimulating your palate, while exciting your mind. Thinking back, I was transported to 'Guadalest'. A quaint little village resting on a rocky mountain 5000 feet above sea level, not far from the seaside resort of Benidorm in Sunny Spain. Strolling along the quiet cobbled streets lined with an abundance of Peach, almond and Lemon trees just ripe and ready for the picking, and sitting in the village square at the local cafe, relaxing with a chilled glass of the excellent Moscatel dessert wine produced in the region, with just the trees whispering around you, was exhilarating. This magical mountainous village was beautiful and so peaceful. Peaches were in season, plentiful, and extremely delicious. There is nothing better than biting into a mouth watering sweet juicy peach hand-picked fresh from the tree, feeling it drip down your chin, while the peach just melts in your mouth with an explosion of flavour. One of the joys of travelling is visiting the local markets, meeting the locals, and learning about their customs and traditions. Memories are what life is made of. ►On the exhale, a crisp and cooling sensation, chilling every part of my being. A perfectly balanced menthol combined with the sweet peach is the quintessential combination. Palate cleansing, refreshing and pleasurable. ► Summary:- A very nice e-liquid. One I will definitely order again and keep in my daily rotation. ► Would I buy this e-liquid ......... Yes. It's one I want to keep in my arsenal. ► Would I change anything about it ......... No. ► ADV ......... Not for me but might be for some. If you're a menthol lover and enjoy it very cold, give this one a try. You won't be disappointed. ► Final Thoughts ......... I really enjoyed this juice. It's rich with flavour, Naturally sweet, flavourful and a pleasant to vape. 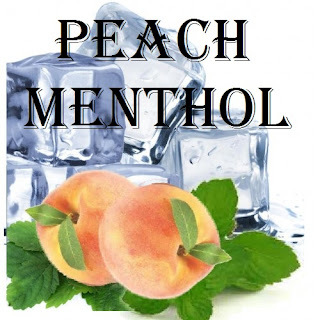 ► Aftertaste ......... Nice peachy aftertaste with a chilling feeling on your palate. ► Primary Flavours - Grapes, Raspberries and Blackcurrants. ► On opening the bottle, there was a very subtle aroma of blackcurrant. I couldn't determine precisely what that other something was, as I couldn't detect the raspberry or grape, but it was pleasant and sweet smelling. Vimto was never a drink I enjoyed. I've never been one for blackcurrant flavours, as I found them to be too tart or bitter, and since I can't have sugar due to having diabetes, I tend to stay away from fruits with a high acidic content, blackcurrants being one of them. ► On the Inhale, The first flavour to come through was blackcurrant. Although it wasn't exactly accurate to the carbonated beverage 'Vimto', it was similar in taste. A classic drink, and one enjoyed by many. 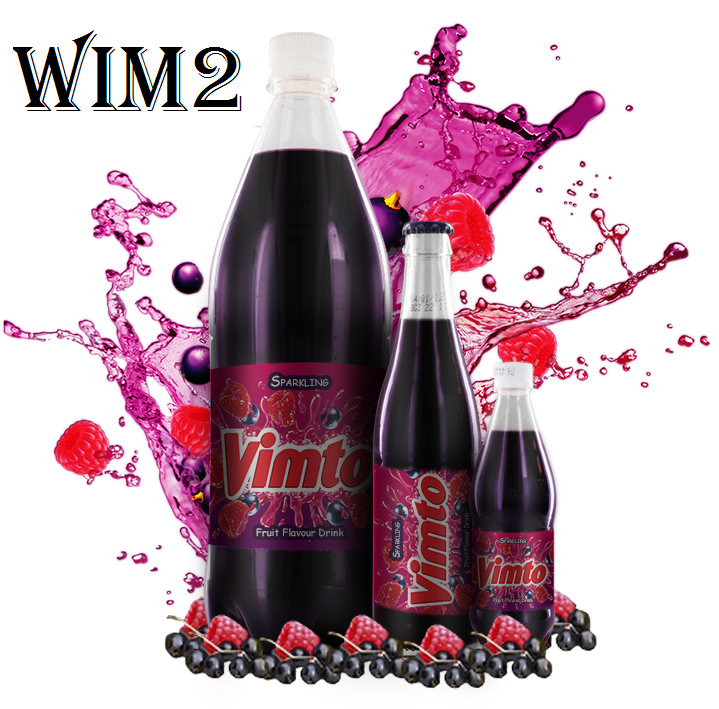 Yes, the drink is very sweet and it isn't good for you with all that added sugar, but on sunny days like today, a cool glass of vimto goes down a treat. My children all love it. Blackcurrants are highly aromatic and have a tart flavour, but there was a lingering sweetness in the e-liquid that I quite liked. The flavour coated my palate beautifully, with a sweet tingle on my taste buds. ► On the exhale, the flavours of the tart raspberry and sweet grape complemented the blackcurrant perfectly. It wasn't an intense flavour but enough to make it an enjoyable all day vape. ► Summary:- Although I'm not fond of the flavours, I was surprised at how nice the juice was. I'm sure if you enjoy fruity vapes, you will definitely enjoy this one. ► Would I buy this e-liquid ......... No, I wasn't keen on this one as blackcurrant isn't in my flavour profile. ► Would I change anything about it ......... No. Many of you will enjoy it if you enjoy your fruity vapes. ► Throat hit ......... Direct Lung Inhale - I find at 12mg 50VG/50PG blend, this is quite strong for direct lung inhaling. I prefer 3mg/6mg with high VG content for this, and 24mg 50VG/50PG blend for my tobacco vapes. ► ADV ......... Yes, it could be. The flavour isn't overpowering. ► Final Thoughts ......... A nice flavoured e-liquid for those who enjoy fruity vapes. I enjoy fruits but I don't get on with blackcurrants, sadly this one wasn't for me. ► Set Up - My Twisted Messes Box Mod with Twisted Messes RDA using Clapton single coil reading 0.5ohm for Direct Lung Inhale, & my Innokin Coolfire Box mod with Nature Vape tank reading 1.4ohm for Mouth to Lung Inhale. ► On opening the bottle, the rich aroma of a bold Turkish tobacco wafted from the bottle. Hazelnuts with a dark cocoa undertone were also prominent. The liquid had a slight spicy edge. 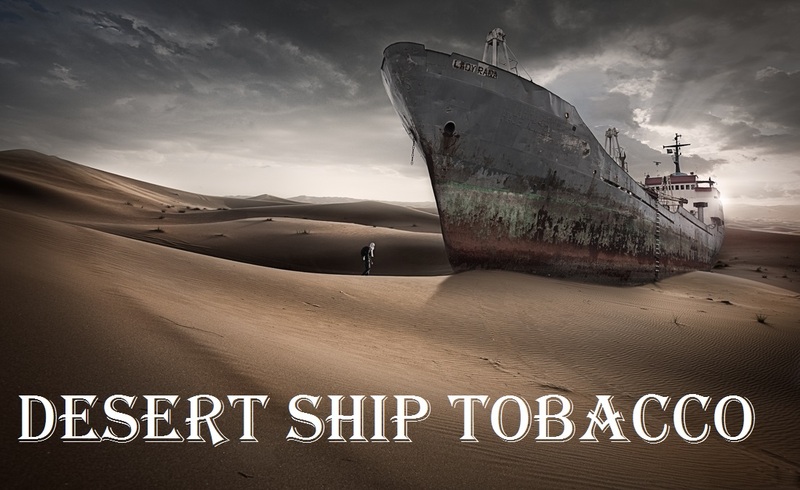 Desert Ship tobacco (Camel) is less sweet and quite dry to vape, but is one of the better tasting tobacco e-liquids. ► On the Inhale, a medium strength turkish oriental blend with a light virginia blend rested on my palate. Expertly blended with hazelnuts and cocoa for a complex vape. It is lightly aromatic and extremely smooth. The spices are minimal but noticeable enough to taste them as a back note. To me this e-liquid tastes like a good solid pipe tobacco with a well rounded flavour, and no ashy generic tobacco taste like some tobaccos have. It tasted clean and was very enjoyable to vape. The nutty element was quite rich but not overpowering, and the chocolate was slightly dark but in no way bitter. There was a slight sweetness but not enough to make the juice sickly or cloying. The flavours are balanced perfectly and enjoyed by many. Some think it is similar to RY4 but to me it has a flavour of it's own. Ry4 is sweeter with caramel and vanilla, where Desert Ship hasn't much of a sweetness and is less rich. Truly a superb blend of flavours and extremely moreish. ► On the exhale, a light, nutty flavour similar to salted peanuts, with a very smooth, mellow taste that won't compromise the throat hit. The cocoa taste changed from being quite rich to a very soft addition to the juice. ► Summary:- I really enjoy my tobacco vapes and this one is a winner. The nutty characteristics with the dark cocoa and spiciness provided interest and gave the e-liquid that little something extra. An elegant oriental blend, naturally aromatic and full of flavour. ► Throat hit ......... Direct Lung Inhale - I wouldn't lung inhale my tobaccos as I feel it wastes the vape for me. I like to savour them and feel that throat hit you get while vaping mouth to lung. It's so much nicer. I vape my tobaccos at 24mg, and my other flavours I vape at 3mg/6mg by direct lung inhaling. ► Throat hit .......... Mouth To Lung Inhale - Solid throat hit for 6mg. 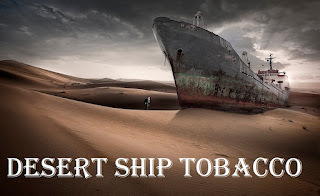 It is Smooth, pleasurable and one I would recommend to anyone who enjoys their tobacco vapes. ► Final Thoughts ......... A naturally medium aromatic Turkish tobacco blend with a light Virginia leaf. Nutty, mildly spicy and carries just enough flavours to keep the juice interesting. ► Aftertaste ......... Mild tobacco aftertaste with a lingering nutty taste.